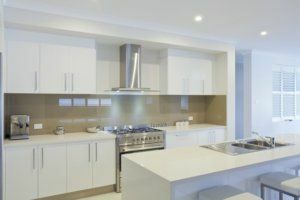 Are you wondering how to select the best kitchen remodeling contractor for your kitchen renovation? When selecting the best kitchen remodeling contractor to head up the planning and design of your new kitchen space, these simple steps can make the difference between complete confidence and unfortunate, stressful weeks or months. With word-of-mouth referrals in hand, conduct some preliminary research either by making phone calls or reviewing prospective contractors’ websites. Determine whether the kitchen remodeling contractor you are considering holds all the required licenses from state and local municipalities. Also, check to see if the company has any professional associations. Be aware: not all certifications are equal. Do your homework to find out the various requirements. Take the time to narrow down your list of prospects and set up in-person meetings. At Republic West Remodeling, we suggest keeping this list to three. How each kitchen remodeling company answers your questions is crucial. Request to see some of the contractor’s recent kitchen projects. If you approve of them, ask for references and call former customers to get their thoughts. Ask them questions about project execution, if they completed their job on time and budget, and they were ultimately pleased with their final product. Our team of professionals believes there is something to be said for “going with your gut.” You and your kitchen remodeling contractor will interact at various points, from the contract drafting and negotiation process to the construction phase and completion of the work on your kitchen. The bottom line: make sure you have a good rapport with a kitchen remodeling contractor. If you have a funny feeling from the start, it could be an indication that the project is not going to end up with a good result. At Republic West Remodeling, we have been helping homeowners in Phoenix and Scottsdale fall in love with their kitchens again for more than 20 years. Contact us today to learn what we can do for your kitchen or other areas in your home. We offer complimentary consultations!